Fragrance - Fresh Citrus and warm vanilla! Texture - Super thick. Better use less and save. Efficacy - Does not lather much alone but works up right with a loofah. The smell does transfers a little to the skin but does not linger much. I enjoy it more during the shower itself. The fragrance is relaxing and energizing at the same time. I cannot commit if it is drying or not because judging that in this weather is tough. 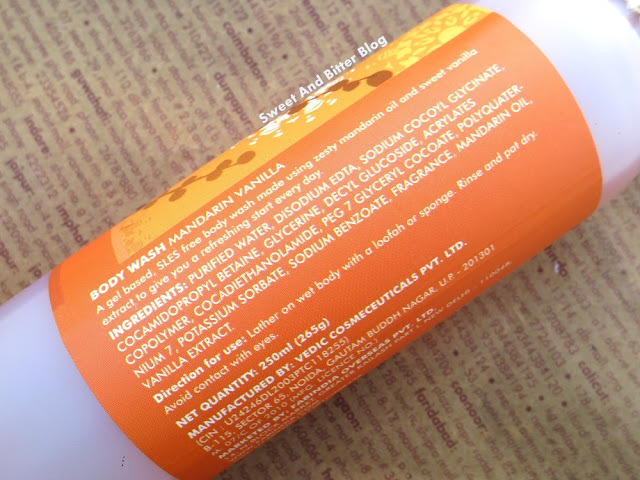 Ingredients - Sulphate Free, Paraben Free. Complete list on the bottle. Overall - Skip all the 'winter special' bath products and think about this. If you like citrus or vanilla (there you go! half of the population covered! ), you will definitely fall in love with it in the first sniff. Angels could have made this. I am not over exaggerating but this the best fragrance that my nose has taken in this entire winter. The texture and foaming are lot like Forest Essentials Madurai Jasmine & Mogra. 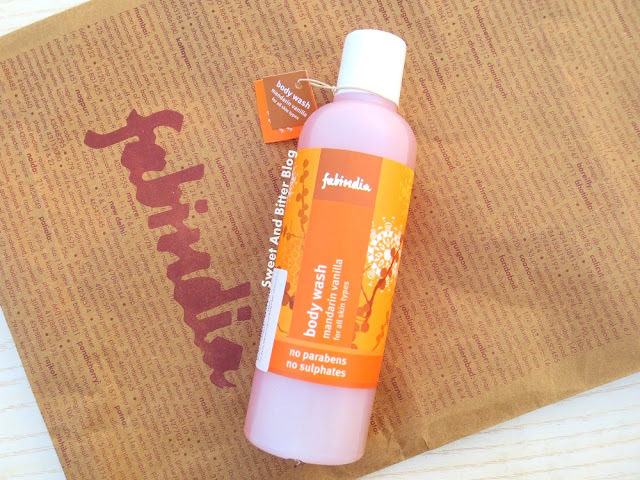 But, FE hides the ingredients list, and FabIndia doesn't. Forest Essentials 0. FabIndia 1. Yes, this is a tad costly for something coming from the house of FabIndia, but they are giving quality for that as well. Keeping fingers crossed that they launch a bath oil in this fragrance. Also, more shower gels in this 'Sulphate & Paraben Free' range.